CFOs have always faced the dual pressures of accurately assessing and controlling cash flow, but in a time where companies are forced to do more with less these pressures have never been more intense. That requires full visibility into every aspect of a company’s spend, both current and forecasted. When it comes to things like capital expenditures, direct spend, and payroll, there is usually strict oversight which provides accurate data. Unfortunately, the same is not always true for a company’s indirect spend, that money that is spent on everything consumed by internal stakeholders; including professional services, IT services, printers, uniforms, office supplies, cleaning and maintenance products, and so much more. The true cost of running your day-to-day business is more than you think. Ask a CFO, especially one who oversees a business with multiple and decentralized locations, how much is spent on producing the core products and he or she can usually provide precise numbers. But ask how much is spent on MRO, office supplies or professional services and it is more than likely that those CFOs will significantly underestimate those expenditures. The reality is the costs of doing day-to-day business, and the least managed, can be up to 40% of your total spend. Imagine the cost to an organization with a lack of visibility, and market validation of such a large area of spend. Without cohesive, organized, and structured practices, a company’s indirect spend can not only give a false impression of working capital and cash flow, it can also lead to missed opportunities to reallocate resources for growth. Companies that have realized success in controlling, their indirect spend have done so through centralizing their procurement functions, defining sourcing strategies, consolidating to preferred suppliers and, most important, implementation of a digital indirect spend platform and spend management tools. Turn to technology and spend management tools for multiple benefits. By implementing an indirect spend management solution, companies gain greater visibility into not only their AP and AR transaction detail; they also are able access line item purchasing history and track supplier compliance. Accurate, and easily accessible, data also enables companies to utilize predictive analytics for forecasting future spend and working capital. Additionally visibility to detailed indirect spend data can be leveraged by procurement when negotiating with suppliers. Companies do not always understand, or properly plan for, the time necessary to manage suppliers and negotiate agreements. Since the list of indirect spend suppliers can be substantially longer than a list of direct suppliers that time in oversight, negotiation, and payment processing adds significantly to the cost of doing business. Through implementation of a solution that provides real-time visibility into all transactions to the line-item level, then, and only then, will an organization be able to truly evaluate all spend, providing the ability to manage it properly. That knowledge, along with the analytical capabilities the solution should offer, will enable better decision-making from all stakeholders. 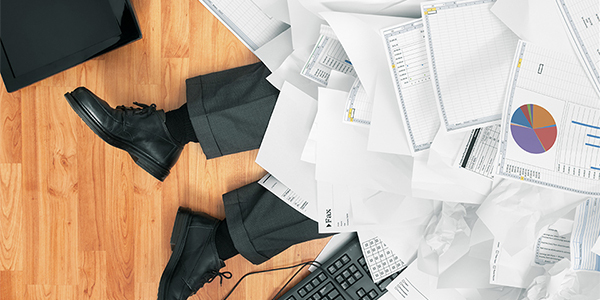 Don’t get caught without cash flow flexibility. The consequences of poor indirect spend management are quite costly: overspending; lack of visibility; lack of control; and too many suppliers doing too little. Having poor visibility of the state of your indirect spend means you have no real understanding of your actual cash flow and working capital status. This can lead to an inability to apply cash to the business when needed. In today’s economy, disruption is a fact of life. Companies like Amazon have changed the business paradigm (as can be evidenced by their recent acquisition of Whole Foods Markets and immediately cutting some prices up to 43 percent, according to Bloomberg). To compete on a more level playing field, companies need to be agile and flexible, proactive rather than reactive, an innovator rather than a follower. But none of this would be possible without full visibility into the real-time data that spend management tools provide. Visibility into the entire operation of a company is necessary to fund growth and innovation, the building blocks of today’s successful businesses. 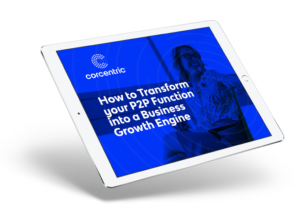 See how Corcentric’s Indirect Spend program can provide visibility and cost savings that will give you greater control over your indirect spend.